Talkabout MJ270, MJ270R Series. MOTOROLA 1532, 56315, HKNN4002, HKNN4002A, HKNN4002B, KEBT-071-A, KEBT-071-B, KEBT-071-C, KEBT-071D. Capacity: 1000mAh. Do NOT Separation, extrusion,and impact. Power Tool Battery. Capacity: 700mAh. Radio Shack: 23-021, 23021, 5SN-AAA70H-SV-P, 5SNAAA70HSVP. Old and new batteries or different kinds type of battery don't mixed use. Do NOT put battery into water and fire. Chemistry: Ni-MH. USA STOCK, USPS SHIPPING, FAST AND SAFE ! RDU4100 RDU4160d RDV5100 RDM2070d. RLN6305 2200mAh Li-ion Battery. Compatible with MOTOROLA radios. 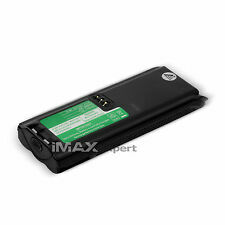 NTN8293 NTN8294 RNN4006 Battery for MOTOROLA XTS3000 XTS3500 XTS5000. Battery Eliminator for MOTOROLA NTN8293 NTN8294 RNN4006 XTS3000 XTS3500 XTS5000. Belt Clip for MOTOROLA NTN8293 NTN8294 Battery XTS3000 XTS3500 XTS5000 Radio. 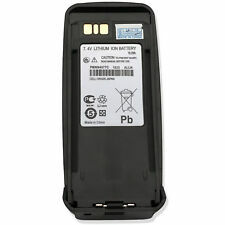 100% BRAND NEW High Quality Rechargeable Replacement Battery (NOT an OEM battery) Battery Type: Ni-MH This battery can work with original Motorola Ni-CD charger. Capacity: 1300mAh Voltage: 7.2V Replace OEM P/N: Motorola NTN7143, NTN7143A, NTN7143B, NTN7143CR, NTN7143R, NTN7144, NTN7144A, NTN7144B, NTN7144CR Compatible Models: Motorola Portable Two-Way Radio GP900, GP1200, GP2010, GP2013, HT1000, HT6000, JT1000, MT2000, MTS2000, MTX8000, MTX9000, MTX-LS, MTZ2000, PTX1200 Please match battery part number for the correct replacement. Our warranty does not extended to any products that are physically damaged or that are not under normal operating conditions as a result of misuse or improper installation on the buyer/user's part. In all cases, buyers pay shipping fees at their own cost to return products for exchange or refund. MOTOROLA HNN9044, HNN9044A, HNN9044AR, HNN9056, HNN9056A, HNN9056AR. MOTOROLA Radius P10, Radius P50 (compact, low power), Radius P60, HT10, SP10, SP21, SP50 Compact. 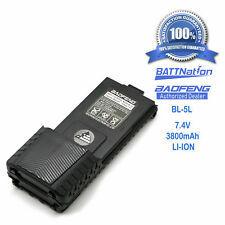 This is a short battery for Radius P50, SP50 Compact, NOT for standard model. MOTOROLA CP150, CP200, CP040, PR400, EP450 and GP3138 GP3188 GP3688 ETC. We have TWO type power adaptor, EU, and US. we will send the suitable power adaptor depends on your country. Compatible Ham Radio Model. IMAX_EXPERT~ MSDS Certified + REAL Capacity Guarantee!! Motorola NEW OEM Minitor V Pager Battery RLN5707A. Motorola OEM RLN5707A Battery for Minitor V's Pagers. These are not cheap knock offs from China. Your Friends at Wiscomm are here to help. Wiscomm is quickly becoming known as the go-to supplier of communication solutions from great industry manufacturers. 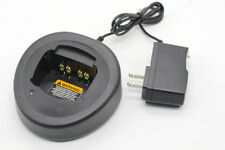 Product description This walkie talkie charger comes with both charging base and power adapter. It works with all Ni-CD, Li-ion and Ni-MH Batteries .You can charge your batteries separately or you can charge radios with battery installed. Compatible Model For Motorola CP110, CP1100, A10, A12, RDU2020, RDU2080D, RDU4100, RDU4160D, RDV2020, RDV2080D, RDV5100, EP150, RDM2020, RDM2070D Specification Input: 100-240V~50/60Hz 0.5A Output: 12V DC 850mA Package: 1xCharger Base; 1xAdapter . IC-31A / 31E / 51A / 51E. for ICOM ID-51A, ID-31A, ID-51E, ID-31E radios. ICOM BP-271, BP-272Li. TWO-WAY RADIO PROGRAMMING CABLE. BATTERY CASE. BATTERY ELIMINATOR. PROGRAMMING CABLE. This battery is. Motorola NNTN4496, NNTN4497. Fit Models: Motorola CP040, CP140, CP150, CP160, CP180, CP200, CP200XLS, MOTOTRBO CP200D, CP340, CP360, CP380, EP450, EP450S, DEP EP450, GP3138, GP3688, PR400. Capacity: 2500mAh. Compatible with: Baofeng UV-5R series two-way radios UV-5R, UV-5RA, UV-5RE. No local pick up available. EM1000, EM1000R, MC220, MC220R, MC225, MC225R, MJ270, MJ270R, MR350, MR350R, MR350R VP, MR355, MR355R, MR356, MR356R , MS350, MS350R. 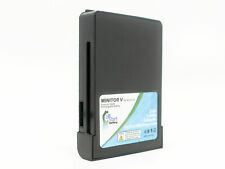 Compatible Motorola Models Battery Type: NI-CD Battery. Motorola HNN9008, HNN9008A, HNN9008AR, HNN9008H, HNN9009, HNN9012 HNN9013, HNN9013A, HNN9013B, HNN9013DR, HNN9013D_R. Motorola HT750, HT1225, HT1250, HT1250-LS, HT1250-LS , HT1550, GP140, GP320, GP340, GP360, GP380, GP328, GP338, GP640, GP680. Motorola Desktop Charger fits the CP200 and CP200d. This is a rapid rate charger and includes the charger base and transformer. Chargers are brand new in original packaging. Original Radioddity 2200mAh Battery for GD-77 GD-77S. Compatible Model: Radioddity GD-77，GD-77S. 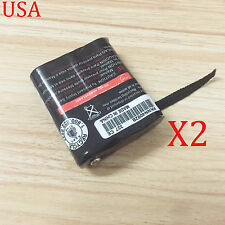 1 x Original Radioddity GD-77 7.4V 2200mah Li-ion Battery. Two-way Radio. Portable AM/FM Radio. with FM Radio. Capacity: 2600mah or 2.6Ah. Kenwood KNB-47L / KNB-48L. 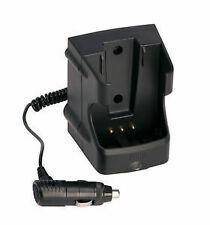 Fits & Replaces OEM Kenwood Part Number(s) Replaces Kenwood Radio Battery(s): KNB-47, KNB-47L, KNB-48, KNB-48L. Compatible Kenwood Radio Model(s): KSC-32, TK-5220, TK-5320, NEXEDGE NX-200, NEXEDGE NX-300. Product description Quick charger with power supply for Motorola CP040, CP140, CP150, CP160, CP180, CP200,CP200D,CP200XLS,CP340, CP360, CP380, EP450, GP3138, GP3688, PR400, etc. radio batteries. This unit allows you to charge NiCD, NiMH and Li-Ion batteries. For use with Motorola p/n NNTN4496, NNTN4496AR, NNTN4851, NNTN4851A, NNTN4851AR, NNTN4851R, NNTN4497CR, NNTN4851A, NNTN4852A, NNTN4970A, PMNN4072A. Analog to Motorola p/n WPLN4137BR. This is a Drop-In charger, but you can also charge battery along, without using radio. Adapter INPUT:100-240V AC 50/60Hz 0.3A OUTPUT:12V DC 1A Package: 1xCharger Base; 1xAdapter . XTS1500, XTS2250, XTS2500, XTS3000, XTS3500, XTS4250, XTS5000,MTX900, MTX9000,X1500, Jedi Series. Compatible with :Motorola. We stand behind our products. The listed prices do not apply. It is Compatible for BaoFeng All UV-5R Series Walkie Talkie. Desktop Input : AC 10V. Desktop Output : DC 8.4V --- 400mAh. Power Adapter type : US Plug. Adapter Input : AC 100~240V / 50~60Hz. Capacity: 700mAh. Uniden BP-38 / BP-40. Do NOT Separation, extrusion,and impact. Old and new batteries or different kinds type of battery don't mixed use. Do NOT put battery into water and fire. Weight: 50g per piece. Motorola HNN9049A Battery for P1225 LS Radios. 7.5V Nickel Cadmium Battery. Genuine Motorola. BP-38, BP38, BP-39, BP39, BP-40, BP40, BT-1013, BT1013, BT-537, BT537. Capacity : 700mAh. Type :2 Way Radio Battery For Uniden. 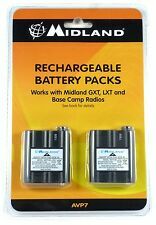 2 X 2-Way Radio Battery For Uniden BP-38. Do not Separation, extrusion,and impact. MOTOROLA 3XCAAA, 4002A, 53615, 53617, HKNN-4002A, HKNN-4002B, HKNN04002A, HKNN4002A, HKNN4002B, HKNW4002A, KEBT071B, KEBT086B, KEBT-086-B, M53615. 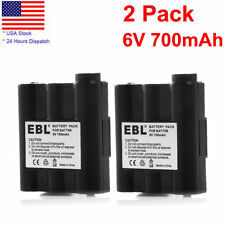 2x 3.6V700mah Ni-MH Battery 53615 For Motorola Radio. XTS2500 XTS3000 XTS3500 XTS5000. Compatible with:Motorola. 1x OEM PMNN4403A IMPRES Battery. Lithium ion Battery. This product is a genuine original Motorola battery. ☛Motorola : APX6000 APX6000E. Battery Type. Made in 2013. Keep away from the fire！. MOTOROLA 3XCAAA 4002A 53615 HKNN-4002A HKNN-4002B HKNN04002A HKNN4002A HKNN4002B HKNW4002A KEBT071B M53615 KEBT-071-A KEBT-071-B KEBT-071-C KEBT-071-D. 2 x 3.6V Ni-MH 53615 Battery For Motorola HKNN4002 HKNN4002B T5500 T5620 T5700. XTS1500 XTS2500 XTS3000 XTS3500 XTS5000. Compatible with MOTOROLA radios. THD72 NX200 NX300 NX210 NX410 NX411. Compatible with KENWOOD radios. HT1000 PR1500 MT1500 MT2000 MTS2000. 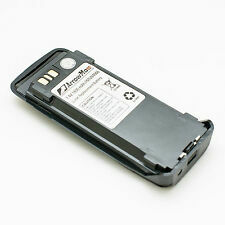 Compatible With For Motorola PMNN4077 PMNN4077C. Fully compatible with the Motorola PMNN4077. Motorola XPR6100, XPR6300, XPR6350, XPR6500, XPR6550, XPR6380, XPR6580 Series Radios. SKU: NTN9858C MFR#: NTN9858, NTN9858B, NTN9858AR, NTN9858C. 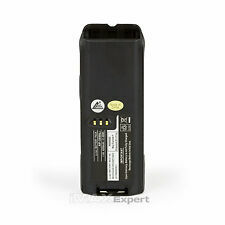 Motorola NTN9858C IMPRES 2100 mAh NiMH Battery. Listed Under The Following Manufacturer Part NumbersNTN9858, NTN9858B, NTN9858AR, NTN9858C. Compatible Motorola RadiosMT 1500, PR1500, XTS 1500 XTS 2500. For KENWOOD. 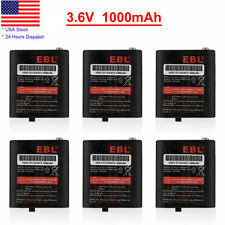 NEW 7.4 Long-life 2000mAh Li-ion Battery. Capacity 2000mAh Color Black. for KENWOOD TH-D74A. KENWOOD KNB-74LW, KNB-75LW. KENWOOD Portable Radio. TWO-WAY RADIO PROGRAMMING CABLE. BATTERY CASE.